I have written about a lot of cloud-based practice management platforms, but one that’s somehow stayed off my radar is PracticePanther.com. The Miami-based company got my attention this week when it announced that it has raised $3.5 million in funding and is offering its service free for the rest of the year. 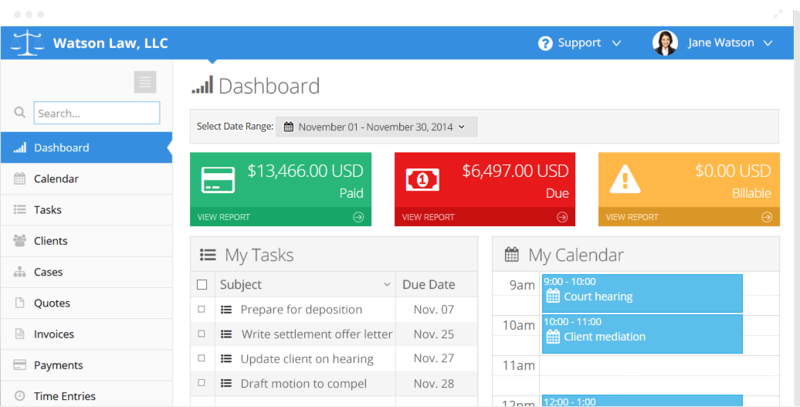 management software.” It is an all-in-one platform that offers a range of features, including client and matter management, calendar management, time tracking, billing and invoicing, document generation, online payments, and task management. It also integrates with a number of third-party applications, including Gmail, Google Calendar, QuickBooks, Exchange, Stripe and PayPal for payment processing, Box, Outlook, and Office 365. The company was founded in 2012, offering a business-management platform called PayPanther. Founders David Bitton, now CEO, and Ori Tamuz pivoted the product to law practice management about 18 months ago after hearing their wives, both lawyers, complain about the difficulty of using other practice management platforms. Tamuz worked part time but recently came on board full time as chief technology officer after selling another company he co-founded, Nova Point of Sale, a cloud-based point-of-sale platform, which was recently acquired by Granbury Solutions. Tamuz also brought the group of private investors — himself among them as lead investor — that provided the $3.5 million in funding. They are offering the software free for the remainder of the year. until Jan. 1, 2016. Starting in January, the price will be $39 a month per user. There will also be an option to pay annual at the rate of $29 a month per user. I spoke to Bitton and Tamuz this morning and they told me that they are dedicated to building a platform that provides all the features lawyers need but that is fun and simple to use. All the core practice management functions are baked into the platform. But the company is also offering integrations with third-party platforms because they want their users to be able to continue using the programs they are comfortable with. “If you’re using Outlook, I want you to be able to continue using Outlook,” Tamuz says. The company just opened a full API (application programming interface) that allows other third-party developers to integrate with their system. They also integrate with Zapier, which allows further integrations with a range of third-party applications. Bitton and Tamuz also tout their platform’s security. The platform runs on the Microsoft Azure cloud platform and all the data is constantly backed up in real time. They also make it easy for users to export their data with an export button on virtually every page of the site, they say. I have not used PracticePanther but I plan to try it out and provide a full report when time allows.